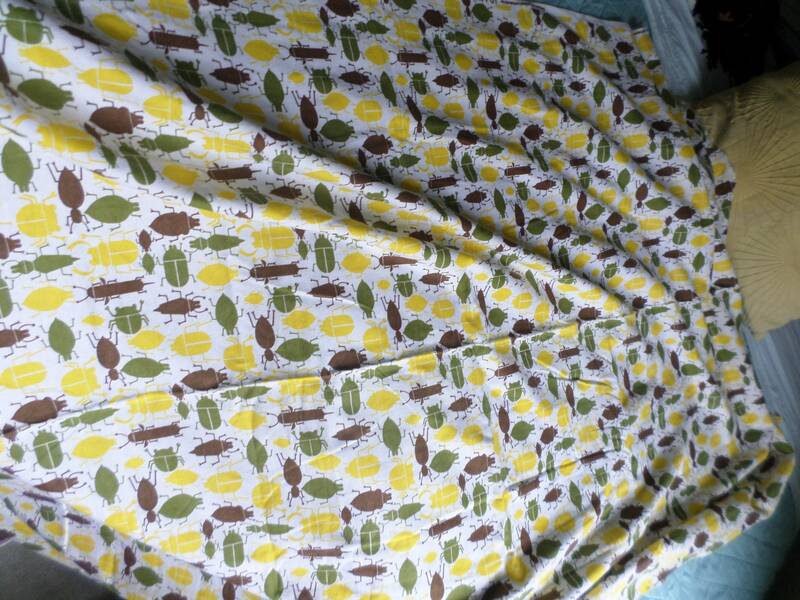 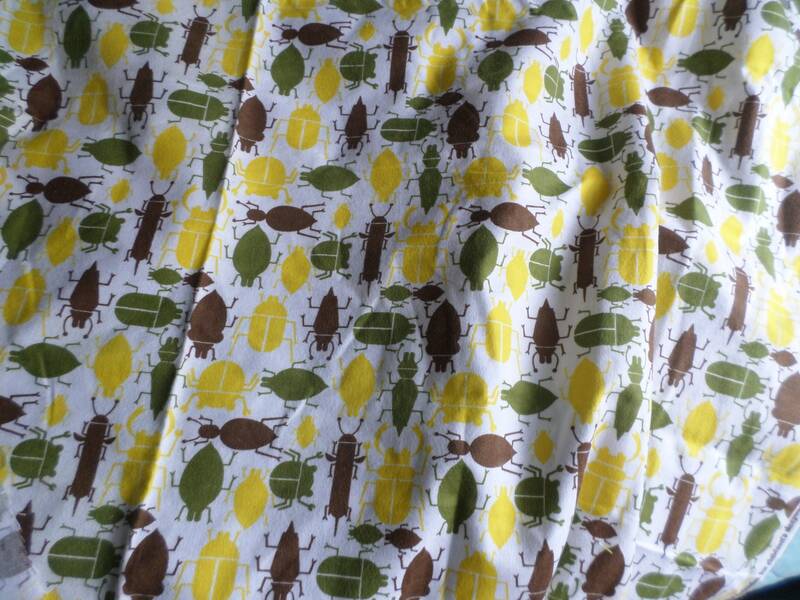 white soft flannel with olive brown & yellow bugs beetles on it very MOD style. 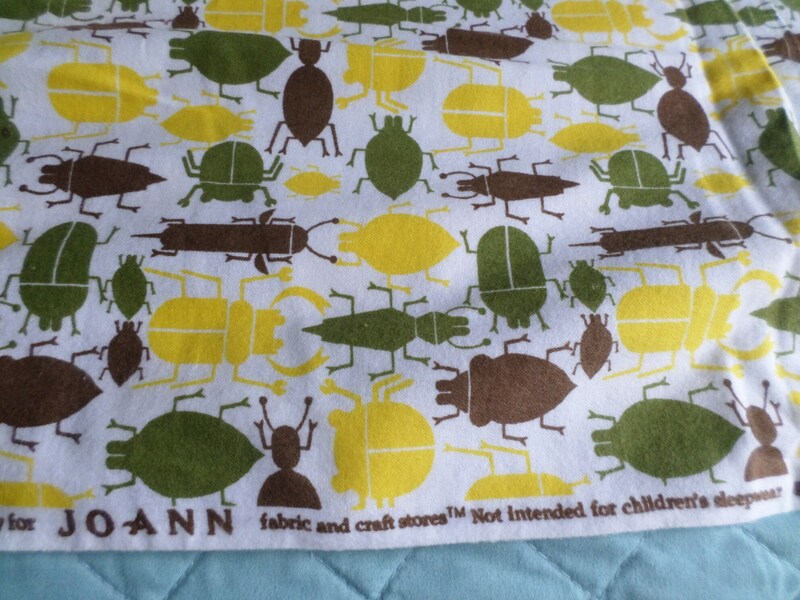 says on the fabric Not intended for childrens sleepwear. 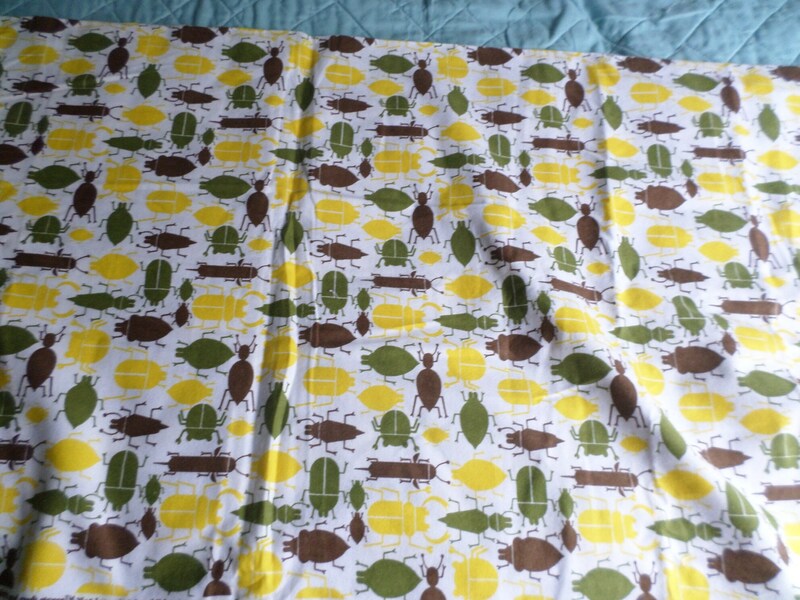 great for crafting or upholstry!